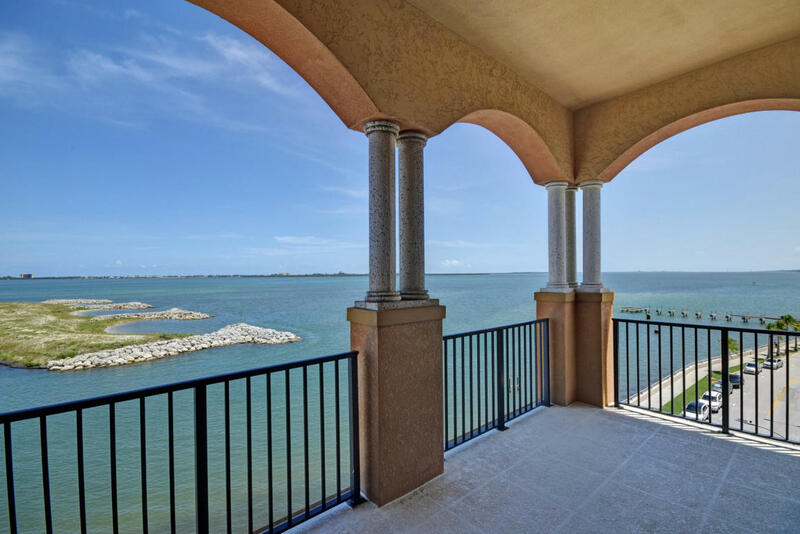 Newly listed on the market in the breezy coastal town of Ft. Pierce, Florida is this beautiful waterfront condo. Perched on the fifth floor of the exclusive Renaissance on The River Condominium this four bed rooms/four bath rooms jewel offers Atlantic oceanfront views throughout its 2,363 square feet of appointed living space. A generous gourmet style kitchen is graciously equipped with sleek granite counter tops and a stainless steel appliances. There is a beautiful balcony that showcases panoramic views. The vaulted ceilings and waterfront views from practically every room make this home bright and airy. A generously over sized Master suite has two his and her walk in closets. The view is spectacular! 20 Orange Avenue Penthouse 8 is located in Ft. Pierce and is currently asking $979,000. This Renaissance on The River Condominium listing is courtesy of Mccurdy And Company Realty MLS# RX-10163012. Renaissance on The River an exclusive condominium tucked in Ft. Pierce. Residents enjoy five star amenities such as an secluded pool, fitness room, sauna, and billiards Located on just north of Orange Avenue, residents of the Renaissance on The River also enjoy close proximity to upscale shopping and fine dining at nearby Downtown Ft. Pierce.